an infection, usually septic, occurring in a person or animal already suffering from an infection of another nature. 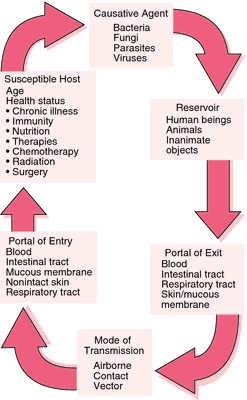 an infection by a microorganism that follows an initial infection by another kind of organism. Infection, usually septic, in a person or animal already suffering another infection. 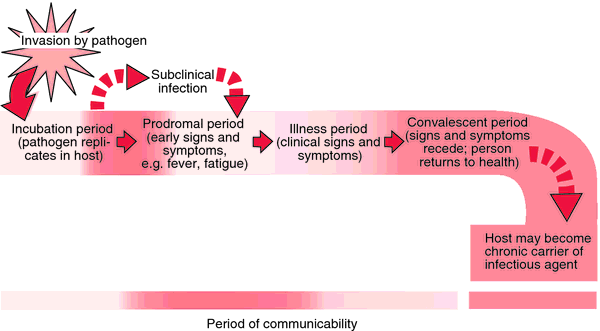 an INFECTION by an OPPORTUNISTIC PATHOGEN occurring after the PRIMARY INFECTION, due to weakened HOST defences (see IMMUNE RESPONSE). Pneumocystis pneumonia, as a consequence of AIDS, is an example of a secondary infection. Sometimes the secondary infection is more serious than the primary infection. Illness caused by new bacteria, viruses, or fungi becoming established in the wake of an initial infection. Secondary infection was considered if incisional swelling or suppuration was found. 2 g/dl on day one in dengue IgM and IgG cases respectively, while mean hemoglobin was 10 G in those with secondary infection. The current study also reports high percentage of secondary infection 72% (n=100) in138 patients. Eligible articles must explicitly define secondary infection (e.
47% cases of dengue secondary infection compared to dengue Duo IgM/ IgG RDT (71. Evonik Cyro's first task in the area of antimicrobial product development was to survey a number of targeted medical device manufacturers and identify key microorganisms that lead to secondary infections in hospital environments. Most secondary infections come with new fevers, and a sudden worsening of the child's symptoms. Moreover, preventing even one case of secondary infection leading to HUS "justifies hospitalizing many additional infected children while they are acutely ill. Measles, or rubeola, is a highly contagious viral respiratory infection with a secondary infection rate of greater than 90%. It was just days after catching the children's illness, that the happy four-year-old's condition took a dramatic turn for the worse and he developed a fatal secondary infection. KOHALA COAST, HAWAII -- A secondary infection may be at the root of atopic dermatitis flares, Timothy G.